Are you looking for something to stand out from the crowd? New to our range, these are the classic-looking chequered pagoda umbrellas. 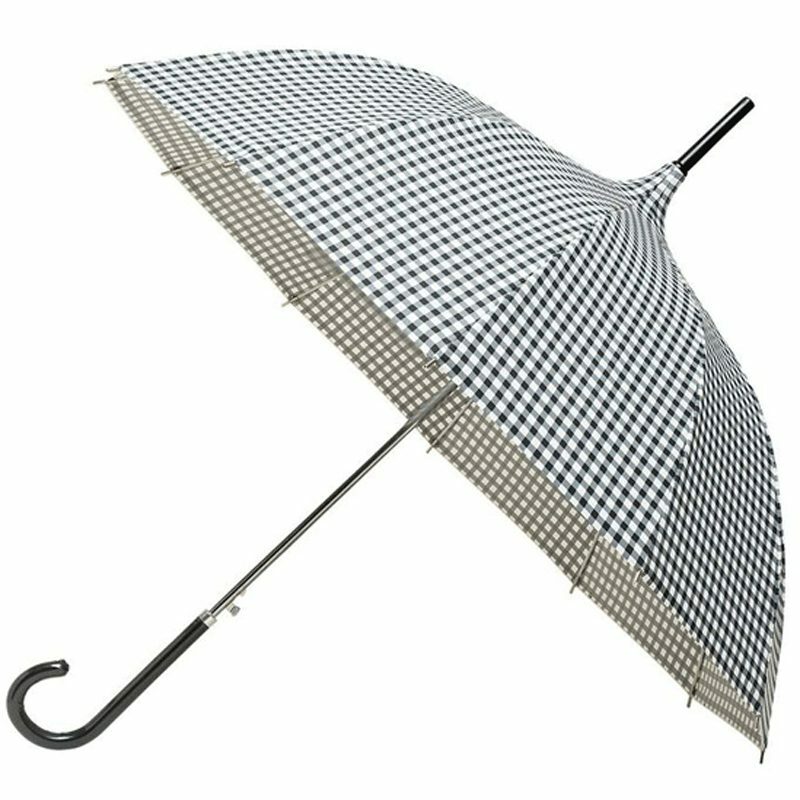 “Check” out our black and white Chequered Pagoda umbrella! These smart pagoda shaped umbrellas feature a fine black and white “French check” chequered canopy. This smart ladies black and white checked pagoda umbrella is fully automatic opening and has a stylish, slim fabric covered crook handle. Steel shaft and frame with 12 light, flexible fibreglass ribs for added strength. So if you’re looking for something a little bit different, this Chequered Pagoda Umbrella could be the one for you. 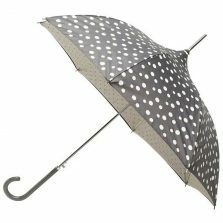 This stylish looking check umbrella is great for any occasion. 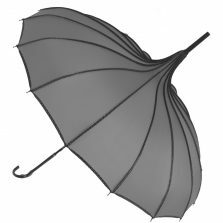 Pagoda umbrellas are practically the perfect parasols for people wanting protection from precipitation. We have a large range of these on trend umbrellas so if this particular umbrella is not for you then why not check out the rest of our collection? See our range of pagoda umbrellas. Still not what you are looking for? If you are looking for something for a special occasion then why not browse through our wedding section? There is bound to be something there to compliment a special outfit or maybe that ‘special’ dress. See our wedding umbrellas! 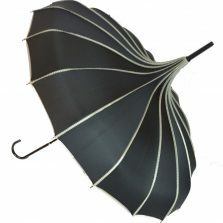 At Umbrella Heaven we boast a collection of over 900 styles and colours of umbrellas. 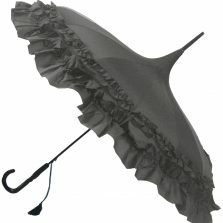 We believe that an umbrella is as necessary accessory as your handbag, shoes etc. Some of the Umbrella Heaven angels even practise what they preach and have a collection of over 25 umbrellas! We won’t name her but she tells us there are still umbrellas out there that she does not own but are on her wish list! If this sounds a little crazy why not make a cuppa, put your feet up and look at everything we have to offer. You will not be disappointed. Happy browsing!